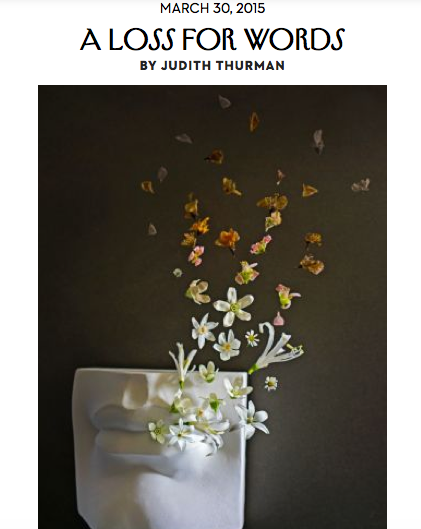 A must-read article by Judith Thurman on endangered language revitalization will be published in the next issue of The New Yorker​. Thank you for interviewing K. David Harrison for this powerful piece. 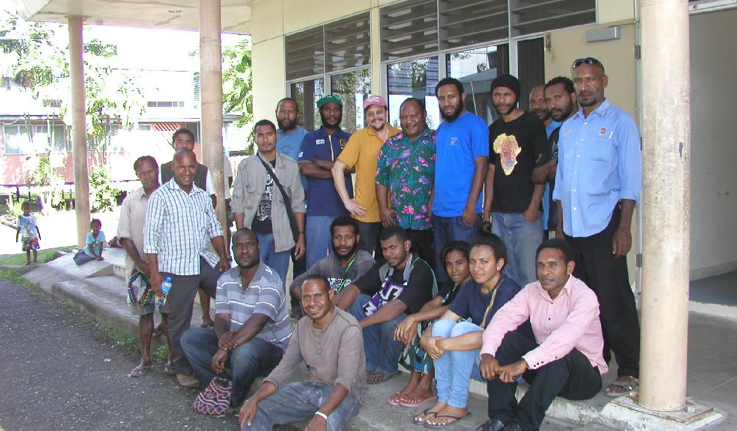 In October 2014, Dr. Gregory D. S. Anderson led a successful workshop at the Papua New Guinea University of Technology (Unitech) in Lae, Morobe Province, Papua New Guinea. 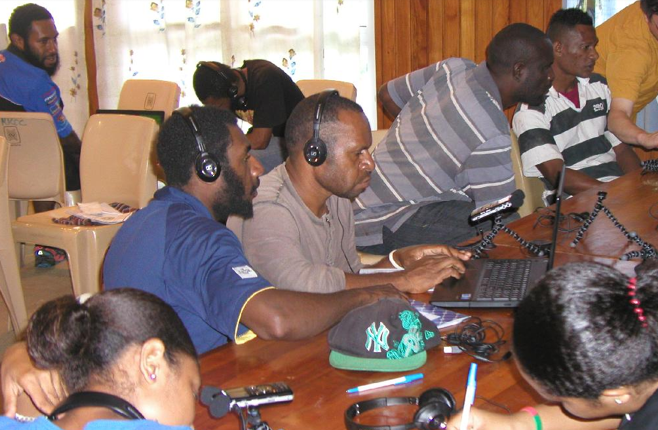 The event was the first in a series of workshops on digital literacy skills for documenting traditional ecological knowledge and landscape stewardship of tok ples in Papua New Guinea. The Living Tongues team consisted of Dr. Gregory D. S. Anderson, Rudolf Raward and Jonathan Anderson. During the course of the workshop, a total of twenty-one local students participated, along with Mr. Yat Paol, speaker of Waskia tok ples, who served as a participant observer. The event was made possible by a grant from the Christensen Fund. Students hard at work during the data processing practical at the Living Tongues Unitech workshop. 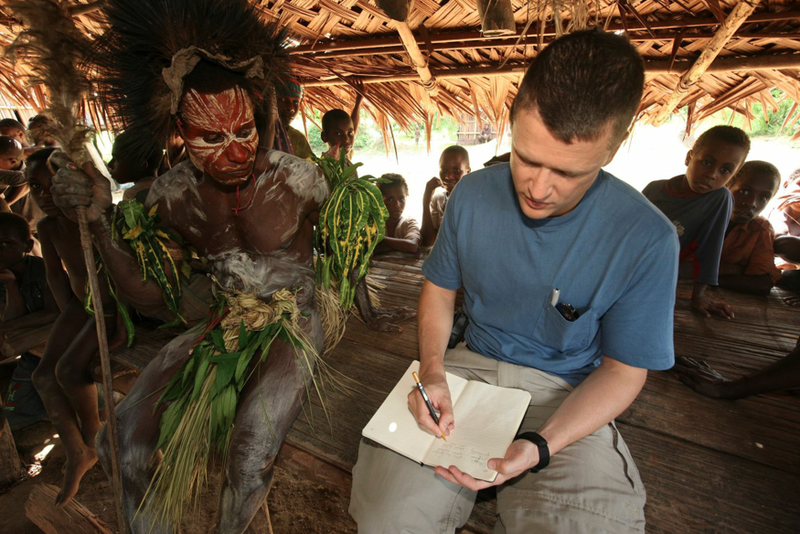 Photo: Jonathan M. Anderson, Living Tongues Institute for Endangered Languages. Some of the Unitech students who participated in first Living Tongues workshop. Front Row (L to R): Yat Paol (Waskia tok ples), Simon Mark (Sau Enga tok ples), Echo Yawip (Weri tok ples), John Cowan (Nakane elders tok ples among Kuman); Second Row: Maiga Gerega (Garihe Nego tok ples), Apolion Beba (Woodlark Muyuw tok ples), Caspar Smakus (Kuman tok ples), Nelson Tololo (Nakanai tok ples), Regina Kiele (Idio Manus tok ples), Lovelyn Kila (Melpa tok ples), Rudolf Raward (Living Tongues Institute and Panau tok ples); Back Row: Unitech IT Assistant Maliso Lero, Israel Timi (Samo Kundi Arapesh tok ples), Living Tongues Institute Director Dr. Greg Anderson, Unitech Professor Dr. Garry Sali, Paul Mark (Narak tok ples), Isaac Karts (Wahgi tok ples), Jason Yonai (Aren Aiome tok ples), Sam Kumao (Kamano Kafe Kanaitu tok ples), Unitech IT Officer Elvis Jack. Photo by: Jonathan M. Anderson, Living Tongues Institute for Endangered Languages. Missing: Chevastrine Somu (Yabem tok ples), Christie Paskalis (Nalik tok ples), Mark Kamananaya (Trobriand Islands tok ples), Melissa Brosnan (Naasioi tok ples), Susan Madana (Tunggak tok ples), Valentine Kekele (Mekeo tok ples), Walai Gairo (Mindi Korakaro (near Hiri Motu) tok ples). Photo: Jonathan M. Anderson, Living Tongues Institute for Endangered Languages. Dr. K. David Harrison recently gave a presentation entitled “Disappearing Languages” at Brigham Young University, in Utah. 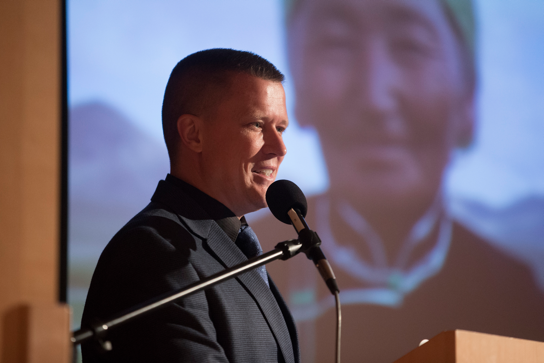 He spoke about the factors leading to language extinction, why language preservation matters, and what steps are being taken to preserve endangered languages around the globe. Read more on National Geographic: Explorers’ Journal. 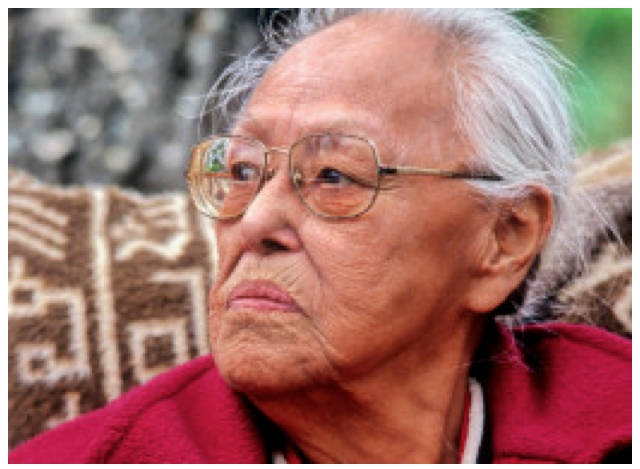 Eyak elder Marie Smith-Jones was honored at the Chickaloon powwow in 2001, Chickaloon, Alaska. (Photo by Marc Lester/Anchorage Daily News/MCT via Getty Images). “The world’s roughly 7000 known languages are disappearing faster than species, with a different tongue dying approximately every 2 weeks. Now, by borrowing methods used in ecology to track endangered species, researchers have identified the primary threat to linguistic diversity: economic development. Though such growth has been shown to wipe out language in the past on a case-by-case basis, this is the first study to demonstrate that it is a global phenomenon, researchers say.” Read more on the Huffington Post. Original article by Emily Underwood. The Last Speakers is a highly personal look at language documentation, language endangerment, and language extinction. The book focuses on the experiences of individual speakers of highly endangered languages and the author’s own experiences as a linguist working with them. While aimed primarily at non-linguists, his engaging style, detailed examples, and colorful anecdotes make this a book that can be enjoyed by linguists and non-linguists alike. Download the full review by Tyler Heston here. Read the rest of Language Documentation & Conservation Vol.8.